And Then Some is a stepping stone that motivates people to take action with their financial choices and gives them a simple, personalized budgeting experience. This tool ultimately balances student's wants and needs through a) engaging students in a marketing campaign on and around campus and b) providing them with an online budgeting resource. We chose a very honest, humorous and distinct tone to relate to our audience and grab their attention. To view our complete brand pitch, click here. 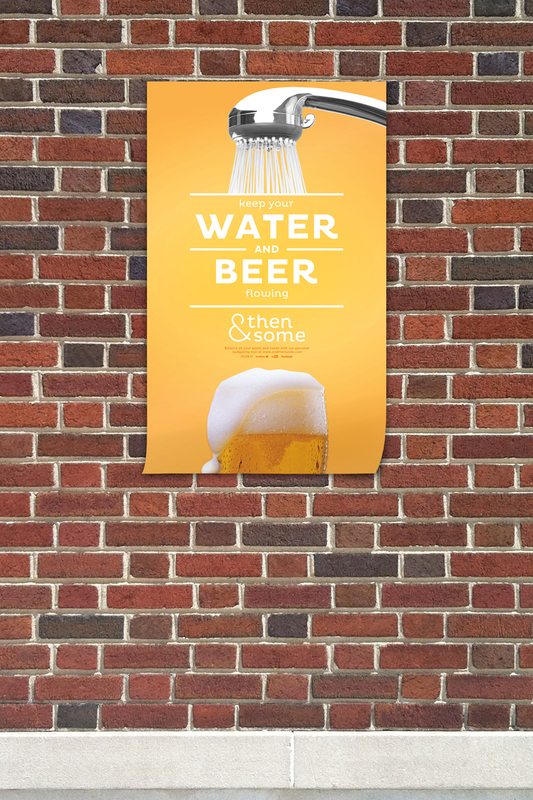 Creates an engaging print campaign that caters to a college audience by creating clever financial juxtapositions, and using a specific tone. Emphasizes ability to budget for the student’s wants and needs. Compels students to reflect and take action with their finances by creating a personal budget. 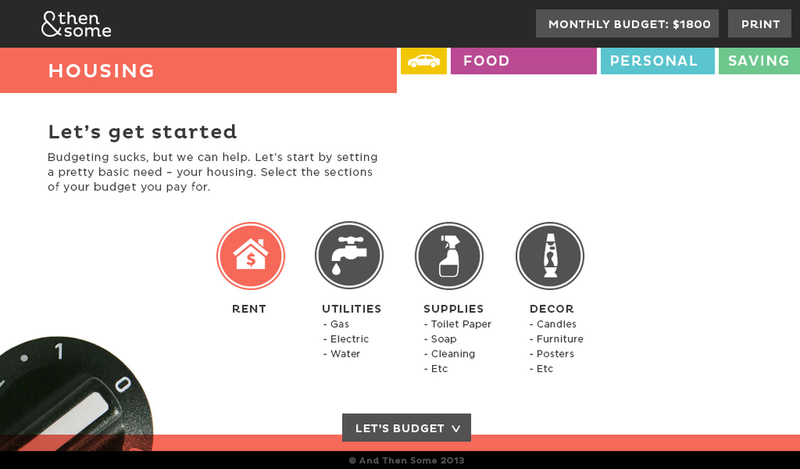 Creates a user-based web experience that allows students to quickly and easily create a budget. Provides personalized budget plan for users to incorporate into their lives to achieve financial independence.